Medieval Monday with guest Cathy MacRae. Welcome back to our Medieval Monday snippets. Today I have author Cathy MacRae as my guest. Here’s a snippet from The Highlander’s Crusader Bride. Happy reading and enjoy! Caelen held back from the free-flowing wine and whisky. He walked among his new clan by marriage, accepting the toasts and accolades, his bride on his arm, his blood little tainted by alcohol. He had no desire to enter his marriage a drunkard. The night ahead already held too many questions for him to willingly add to the discomfort and regrets. A wedding night was anticipated by the guests and family. What did Arbela expect? Bloodied sheets would be displayed on the morrow. Whose blood would it be? 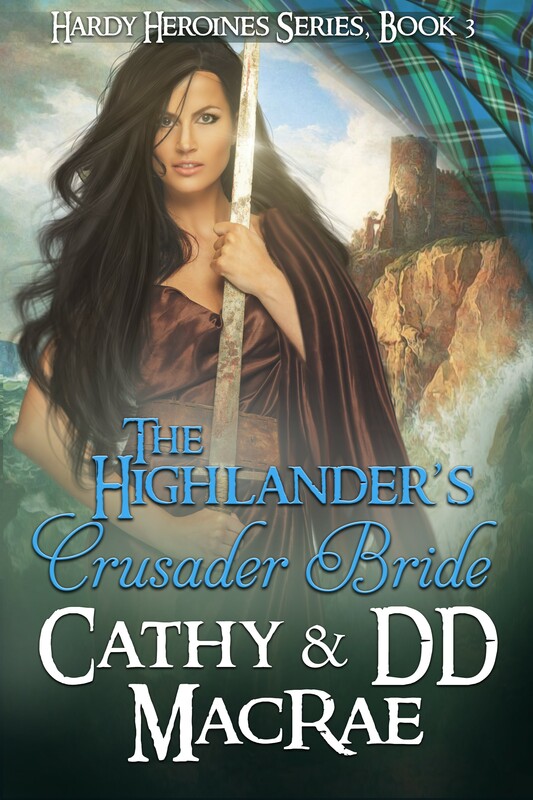 Join Cathy next week on Barbara Bettis’s blog http://barbarabettis.blogspot.co.uk for the next excerpt from The Highlander’s Crusader Bride! It’s beautiful, isn’t it Suzannah? The Highlander’s Crusader Bride sounds great! Thank you for sharing the excerpt. I can’t wait to read this story. Thanks for sharing excerpts with me today, Sherry! Hope you’re having a great day! Mhawawawawa! Very intriguing – whose blood indeed! Great snippet, Cathy. OOoooooooooh. Bloodied sheets. And the cover. Wow! LOL! In this instance, it was even odds on whether the blood would be hers or his–they don’t see eye-to-eye on things 🙂 Thanks for stopping by, Ruth! Great excerpt. The mention of blood always piques my interest. Lovely cover, too.